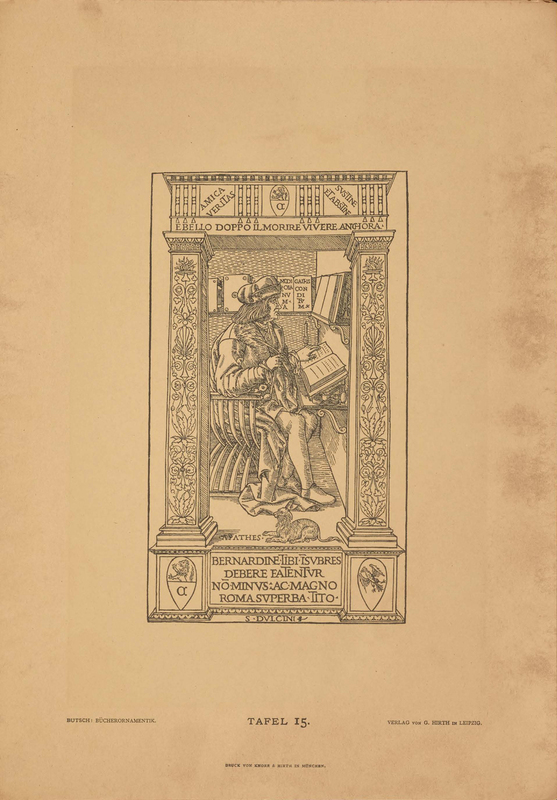 Tafel 15 from Bücher-Ornamentik der Renaissance by F.A. Butsch (Leipzig: G. Hirth, 1878–1881). 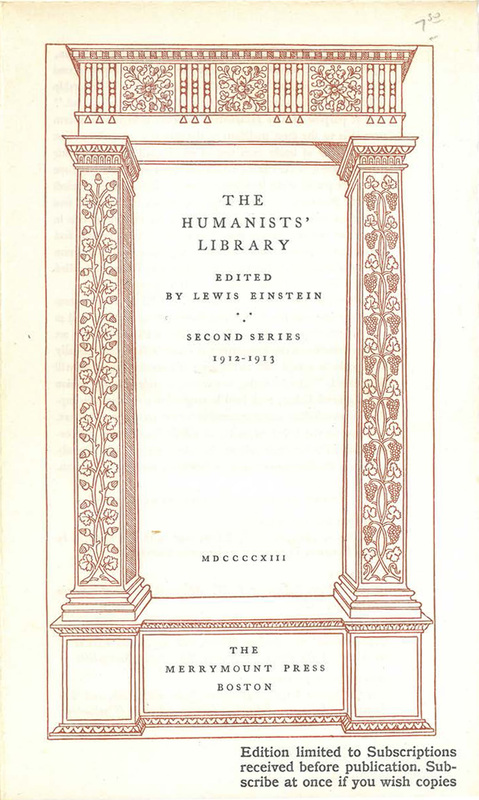 Circular for The Humanists’ Library Second Series 1912–1913 (1913). Illustration by W.A. Dwiggins? ; typography by D.B. Updike; printing by The Merrymount Press. Image courtesy of Barry Snider. 1. The wood engraving was later included in Historic Design in Printing by Henry Lewis Johnson (Boston: The Graphic Arts Company, 1923), Group II, no. 31. 2. There is no correspondence between Dwiggins and Updike referring explicitly to this job. The closest discussion is Dwiggins’ request to Updike, “Please let me have your general criticism of this. The detail of mouldings etc. is coarse but I think I can ease them up. I like the right side better but shall be interested to know what you think of the scheme.” W.A. Dwiggins to D.B. Updike 6 August 1912, Letter 108:487, Box 69, The Merrymount Press Collection, The Huntington Library. However, the border in question may refer instead one for a confirmation certificate that appears in Dwiggins’ account books for August 1912.